The English Premier League has seen many footballers best known for their silky skills, but plenty of others are notorious for different reasons. This week, we are counting down the top 50 Premier League bad boys. Several criteria to lay out first: football-related misdeeds rather than outright criminality is prioritised; individual moments of badness are relevant, but more weight is given to career-long infamy; this is not a list of top 50 hard men, but being tasty in the tackle earns points. Also, this is an objective list compiled by the author, so you will almost certainly disagree with the entirety. 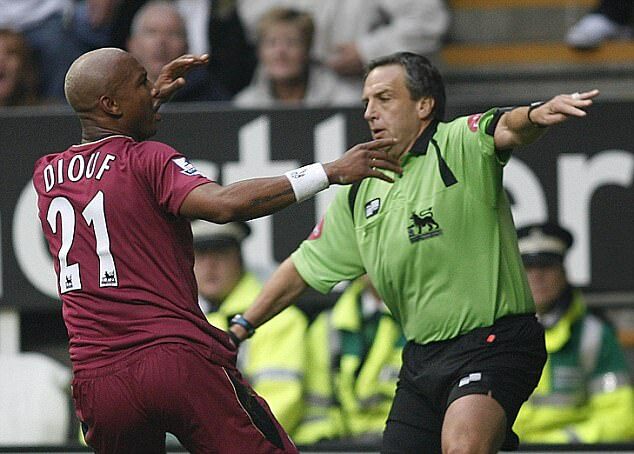 In 2008, this website declared Savage the dirtiest player in Premier League history, as at the time he had the most yellow cards ever in the competition. While that record has since been surpassed, Savage’s bad boy reputation persists. While he was surprisingly only sent off once in his Premier League career, Savage never endeared himself to fans of his opponents. An early nadir came in the 1997-98 season when he dived to win a penalty against Derby, then ran off in celebration at the decision. It was somewhat surprising he finished his career with the Rams. Shawcross may have wept when he saw the extent of Aaron Ramsey’s broken leg after his fierce tackle on the Arsenal midfielder in 2010, but that wasn’t enough to earn him forgiveness from the fans, nor was the tackle hugely out of character. In Stoke’s early Premier League days, Shawcross’s physical playing style came to typify the team as much as Rory Delap’s long throws. So many bad boys are loved by their fans and hated those of other clubs, and Shawcross is no exception. Arriving at Liverpool after impressing for Senegal at the 2002 World Cup, Diouf soon became much better known for spitting at players and opposition fans, and for his unlikable attitude on the pitch. Although he would enjoy a long career in the Premier League – and a successful one when at Bolton Wanderers – Diouf is more remembered for incidents such as being accused of taunting injured QPR player Jamie Mackie, leading Neil Warnock to call Diouf ‘nasty’ and ‘lower than a sewer rat’. The average response to the statistic that Lee Cattermole has been sent off once every 16 Premier League games would be: ‘What? That rarely?’ Cattermole has taken an early bath on seven occasions in the English top flight – the same number of times as Roy Keane. Cattermole’s style of play – which could euphemistically be described as ‘all action’ – is typified by his display for Sunderland in the March 2012 Tyne-Wear derby. He was booked in the first minute, then sent off after the final whistle for confronting the referee. 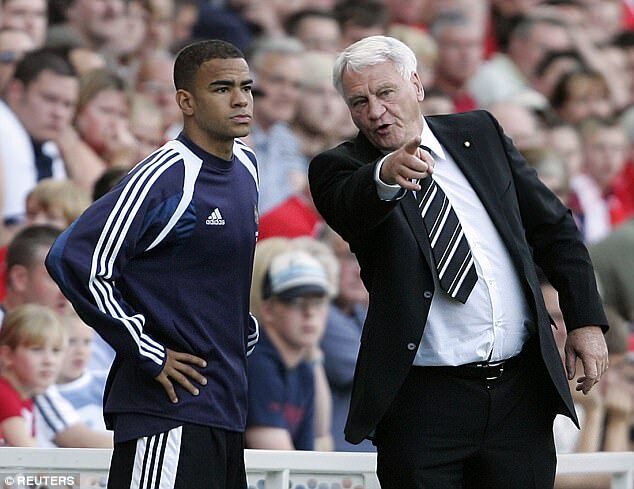 In 2004, Newcastle United manager Sir Bobby Robson asked Dyer to play on the right wing against Middlesbrough. Dyer said this was ‘unfair’. He came on, made a mistake which cost Newcastle the game and Robson was sacked soon afterwards. 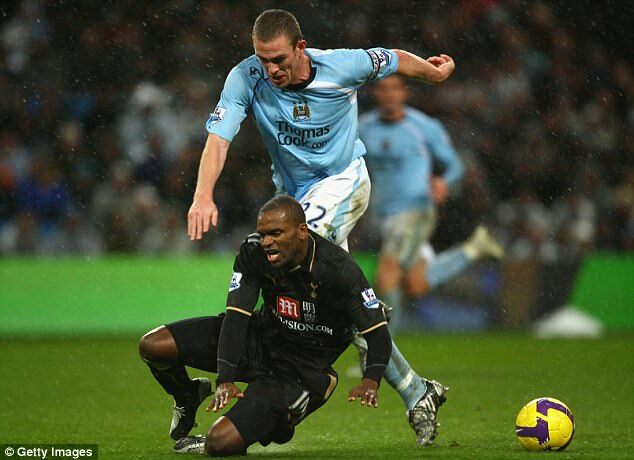 It was Bowyer who threw the first punch in the Dyer fight, enraged that his team mate would not pass the ball to him. It was just one incident in which controversy seemed to follow the midfielder around as if magnetised. He collected five top flight red cards, and 98 yellow cards, at one stage the Premier League record. Other incidents included a 1996 conviction for affray after throwing chairs across a McDonald’s, and an apology in 2010 after swearing at an opposing fan and grandmother while playing for Birmingham. 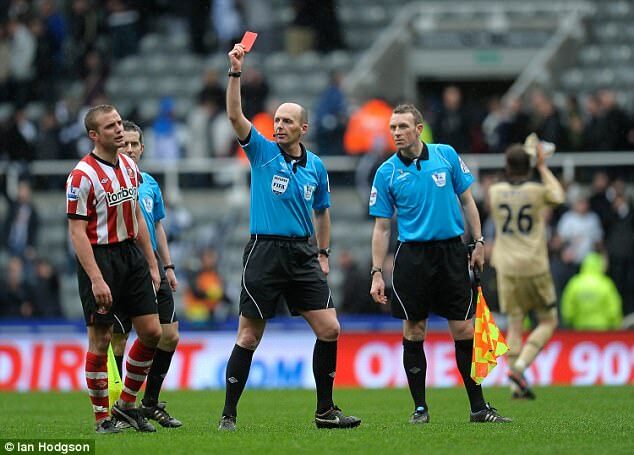 The Premier League record for red cards is currently a three-way tie, of players on eight sendings off. Irishman Dunne is one member of that triumvirate. While he was never involved in any trouble off the pitch, Dunne’s capacity for hurting his own team while on it – he also holds the Premier League record for most own goals – merits his high inclusion on this list. 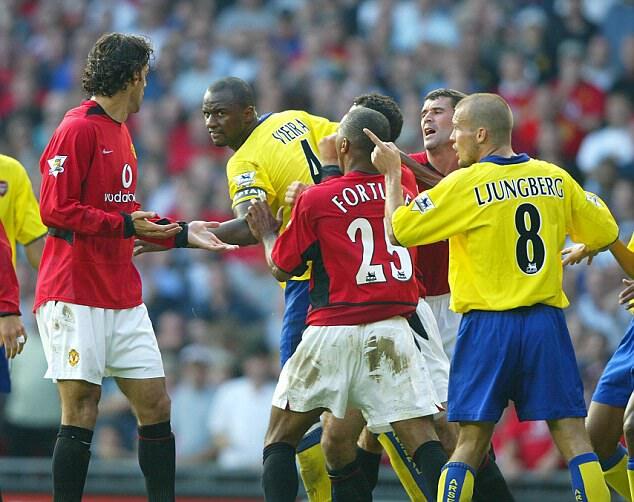 Vieira is another of the three men on eight Premier League career red cards. While one of the most talented footballers of his generation, Vieira’s nasty streak is just as memorable. At the start of the 2001-02 season he was sent off twice within 72 hours in consecutive league games, and around that time he was often critical of the club and its transfer policy. 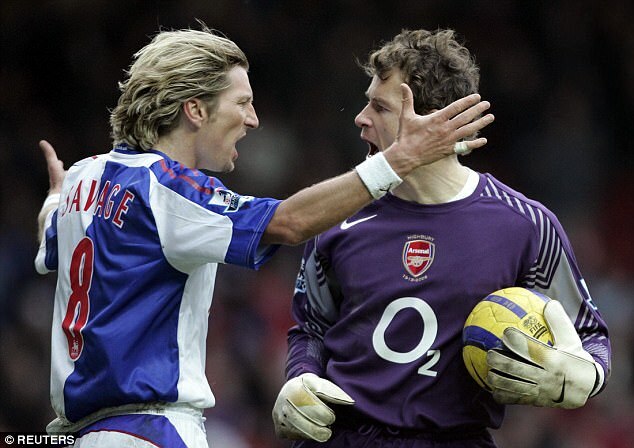 He had a long running rivalry with Manchester United’s Roy Keane, culminating in a bust-up in the tunnel in 2005. The bad boy of the current Premier League era, Costa’s tempestuous stay at Chelsea looks to be over after a text from Antonio Conte. It brings the curtain down on a spell memorable for good and bad reasons. 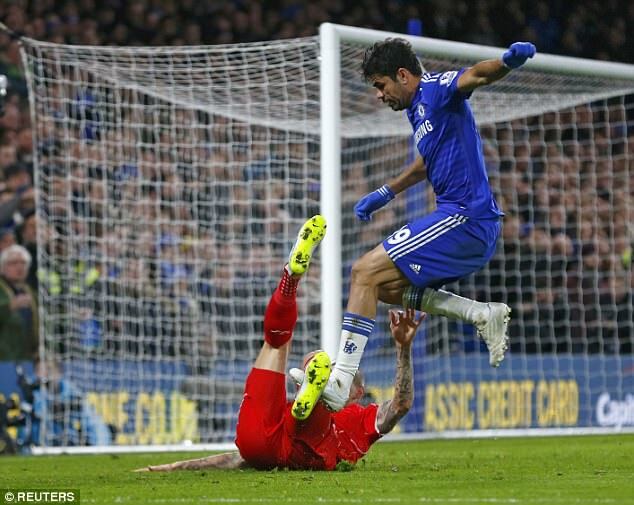 He was banned for two separate stamping incidents against Liverpool in 2015, then again later that year for slapping Laurent Koscielny, and soon after he threw a bib at manager Jose Mourinho while on the bench in a game at Tottenham – all this before numerous bust ups with Conte in the season just gone. English football journalists will miss him. It shows how many bad boys the Premier League has had in 25 years that Balotelli, however narrowly, misses out on the top 10. His periods at Manchester City and Liverpool were ended by fallings out with Roberto Mancini and Brendan Rodgers respectively. His off-pitch activities included: visiting a women’s prison to ‘have a look around’; telling the police, when stopped in his car and found with £5,000 cash, that he had the money ‘because I am rich’; throwing darts at a youth player; and setting off fireworks in his bathroom. 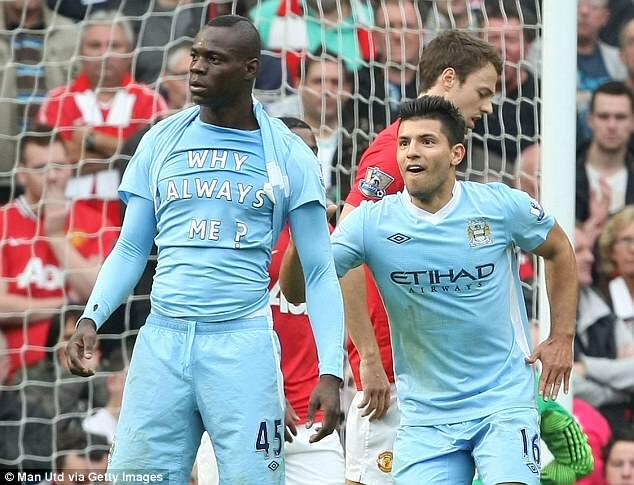 Why always him?